When I go through all the new profiles on School of Everything I find loads of great content from members - I normally just send it around the office but Andy said I should blog it, so here is my first little look/see. Enjoy. Nice write up and mix of subjects. Fly fishing and wool spinning. And an extra gold star for Nico Major for posting this brilliant video: Bboys, Bgirls, Just B. So today is the Open University's 40th Birthday. Since 1969 over 2 million people have been educated through the OU and it's now the UK's largest university with 200,000 students each year. It was also one of the most radical educational ideas of the 20th Century and, although Harold Wilson took the credit, it was Michael Young (after whom our backers the Young Foundation are named) who initially came up with the idea saying, "If the student can't come to the lab, then lab must come to the student." The simple idea at the heart of the OU was that anybody should be able to be a university student independent of their age, social background or family commitments. If the OU opened up learning to more students, at the heart of School of Everything is our belief that 'everybody has something to teach'. Here's hoping that we can be as successful as the OU in practically proving a radical idea. The OU spread because of a technological revolution that was spreading like wildfire at the time - BBC 2. I'd say today the most interesting education innovations are definitely spreading because of the web. Looking through our fellow webby honorees is a pretty good start for seeing what innovations we might be celebrating in a few years time. It's also worth having a look at the stuff that came out of the Hacking Education workshop back in March. Over the last month or so we've had two interns - Chris Kamper and Anita Lasocka, from the BA Digital Photography Course at London South Bank University working on projects photographing members of School of Everything. Chris has just sent over a sneaky peak of his project so far. 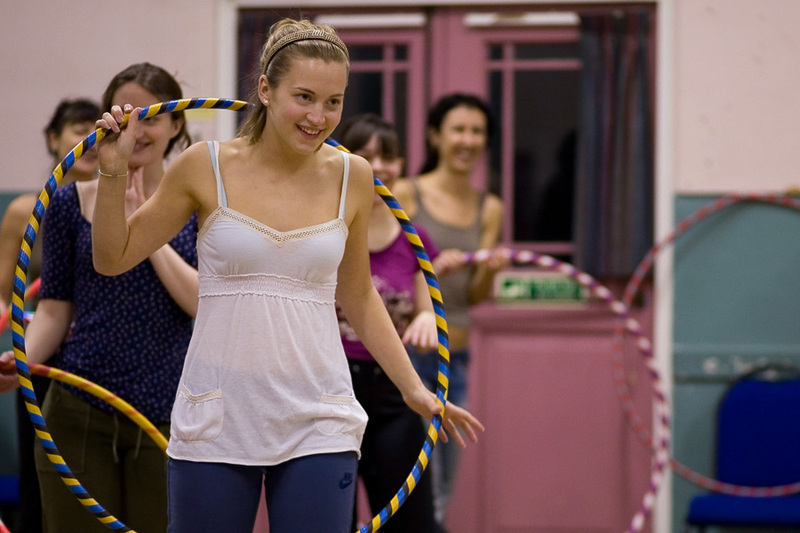 Here's a taster showing Jeremy Carroll's Martial Arts class and Diana Defries' Hula Hooping class. Did you watch ‘Kirstie's Homemade Home’ on Channel 4 last week? It’s good. You can watch it on 4oD Catch-Up. Kirstie Allsopp is on a mission to transform a dilapidated country cottage in Devon into the ultimate 'homemade' home, with everything either made in the UK, or made by her. Now everyone wants to learn how to make stuff for their home and Channel 4 have showcased School of Everything teachers on their 4homes website to help the crafty knowledge be passed on. Find more homemade teachers. It's a very happy day at Everything HQ today. We had a picnic in the park at lunchtime, AND we've just been told that School of Everything has been selected as an Official Honoree for the Education category in The 13th Annual Webby Awards. This is a big deal people! This is what they say: 'The Official Honoree distinction is awarded to the top 15% of all work entered that exhibits remarkable achievement. With nearly 10,000 entries received from all 50 states and over 60 countries, this is an outstanding accomplishment' (their words not ours). And now for the obligatory acceptance speech: We'd like to say a very BIG thank you to all the wonderful School of Everything members (that's you), the Board of Everything, our charming Advisory Board, our investors, our supportive parents, partners and pets, and of course darling David Attenborough. We would be nothing without you. Thank you. If you're based in the UK you'll notice a new feature on School of Everything the next time you log in. We've added the ability for teachers to make quotes and receive payments for educational services through the site. We've heard from lots of self-employed teachers that they would like a simple way to take credit and debit card payments before classes take place. Here's a little video that explains how it works. As a teacher who uses the Marketplace you'll receive a bill from us at the beginning of the month for 5% of the payments you received through the system in the previous month. If you have questions about how to use the new features, have a look at Marketplace Help or you can ask in the Forum. As always, we really want to know what you think so please give feedback and suggestions here. The National Youth Orchestra of Iraq needs you! Zuhal Sultan is a 17-year-old pianist who lives in Baghdad. Her aim is to set up the National Youth Orchestra of Iraq (NYOI). I've been lucky enough to get to know Zuhal over skype over the past 6 months as a mentor on Channel 4's Battlefront programme and we actually met for the first time today. Zuhal is in London giving her first performance in the UK at the Wigmore Hall. I can't quite believe how much progress Zuhal has made since she started last working on this last year. There has never been a National Youth Orchestra in Iraq and it's a tough task to set one up. The first step is to organise a Summer Academy in Northern Iraq this year and with the help of the fantastic Paul MacAlindin plans are well advanced for making that all happen. The application forms are out and people are already applying to come. But here's where you come in. If you're a music teacher on School of Everything. Zuhal and the NYOI are looking for great music teachers around the world who would be willing to teach the members of the orchestra over skype between now and the Summer Academy. If you think you could help, send me an email (paul [at] schoolofeverything [dot] com) with a link to your School of Everything teacher profile or visit Zuhal's Battlefront page to get in touch. In an unexpected move, the G20 summit today proposed the introduction of a new currency based on academic qualifications. The new currency, currently dubbed the "Merit Credit", would make school and academic qualifications into a high-interest regulated currency, commonly exchangeable for goods and services and tradable on the global currency exchanges. The move comes in response to the global currency crisis, and particularly the recent revelations from the IMF and the World Bank that the banks have now lost more money than exists on the planet. "In a time of financial instability, we must move towards those commodities that people still trust and value," said a G20 spokeperson. "There's no getting away from it: we've broken our money. The only thing we can rely on in times like these is the knowledge in our own heads, and so our economic approach should reflect that." The new proposals will establish academic qualifications as a high-interest currency which gives those who have them high-interest "Merit Credit" dividends which could be used alongside existing currencies such as Dollars, Whuffie, food-bartering, begging and pleading. Exact details of their equivalance are still unclear, but it's estimated that a university degree would equate to around £15000 per annum, with an average set of A-Levels and GCSEs netting the possessors a further £15-20K per annum on average. With concerns about fiscal stability riding high, the currency will be regulated nationally, with an independent Educational Policy Committee to be established in the UK. Schools and academic institutions will effectively become banks, empowered to issue credits to their students on the basis of academic attainment. National qualifications would then be traded on the financial exchanges to establish fair market equivalence between grades. 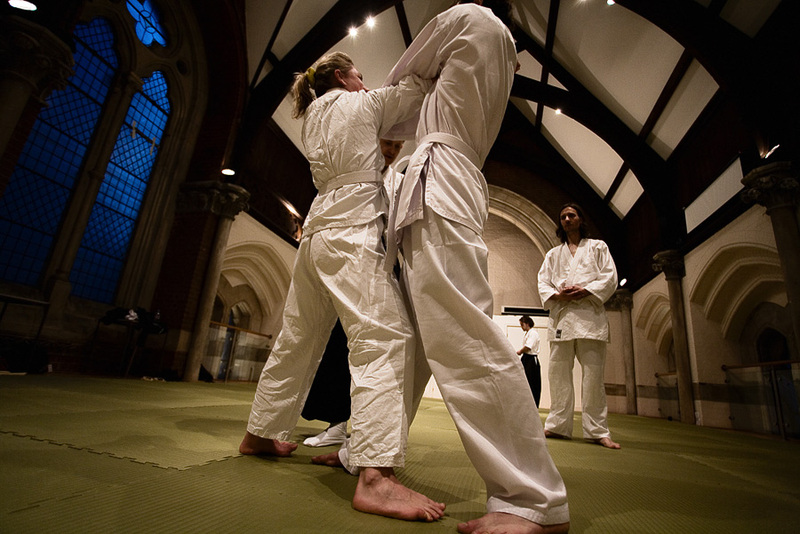 Educationalists in the UK have already welcomed the move. A spokesman for the Department of Education, Child Safety, Creovation and Scary Unwelcome Change said: "This is the perfect incentive our money-obsessed, directionless children need to perform better in school. If they believe getting higher grades in their exams will enable them to buy more trainers and ringtones, I'm confident UK schools will quickly be back to their academic best." A spokeswoman for the Commission for Meritocracy said: "We already live in a knowledge economy which rewards the educated and qualified at the expense of people further down the academic "stream". Now it's time to cut out the middle man." She later added: "I'm rich, I'm rich!" However, the response has not been entirely positive. The controversial decision to permit schools and colleges to issue qualifications at a rate of 400% more than the value of their students has led to widespread fears of 'grade inflation'. And the Tabloid Press "It's Not Like It Was In My Day" Association have already issued a statement saying: "An A-Level today simply isn't equvalent to what it was 20, even five years' ago. It's only a matter of time before our 'gold standard' of academic excellence becomes completely devalued and we end up living in caves and forgetting how to make fire." Meanwhile, activists protesting the G20 summit called for the most qualified people in the country to give back their doctorates and degrees as a gesture to the plight of the working man. However, rumours that Stephen Hawking has refused to give back his academic pension and gone into hiding in a "merit haven" in the South Pacific have not yet been confirmed. Our friend Pippa has decamped to Berlin and is doing some very interesting things with DIY education. She's started her own "DIY Masters" programme to learn everything she wants on her own terms and give her studies the same status and support as a formal masters degree. It's a research project at the moment and she's blogging her progress here, and we're all really keen to see how she gets on. Here's a video of Pippa talking about the DIY Masters and sharing her progress so far. Myself, Pippa and others have been talking about this DIY Masters idea for a while now. I actually posted something similar on my scrapbook a while ago, which led to some interesting discussions there. We've started a thread on our forum for people to discuss the idea of a Masters in Everything, so please do chip in to the conversation there too. The idea is fairly simple: to let anyone design a course themselves which meets their learning needs, buying educational services for anyone, unrestricted by institutional affiliation, and have their studies supported and recognised in the same way as an institutional masters programme. It's not about replacing or undermining existing MA Programmes; it's about creating something different, a bottom-up version, learner-driven, flexibly assessed, with massive choice of subjects and teachers, and a more efficient cost model. Pippa's doing the action research into what it would take to create her own masters programme, but we're particularly interested in learning what tools, facilities and structures people need to organise their own "Masters in Everything". And then we want to build the tools to make it easy for people to do their own thing. Anything else you can think of? Would you be interested in doing a Masters in Everything? Let me know, or else please tell me why this won't work! Josef Davies-Coates, founder of United Diversity has kindly let us know his top places to learn green skills. http://www.grofun.org.uk/ do great work in Urban Areas.